Every Bushwick resident tends to have strong opinions about the luxury apartment building at 114 Troutman St. known as CastleBraid. But whether you love it or hate it, one thing seems to be certain: CastleBraid residents have each other's backs. The complex has a private, 454-member (and growing) Facebook group for residents to communicate with each other without interference from management to share news, tips and goods. The group is being constantly updated; it's odd to even see a Facebook group get as much play as this one does. Residents ask each other to borrow appliances, take suitcases overseas, or for advice on where to get a good milkshake in the neighborhood. That last person got 32 responses. Thirty-two! It’s undeniable that the community there is a force. When a person moves in, they're immediately bombarded with "welcome to the neighborhood" messages. 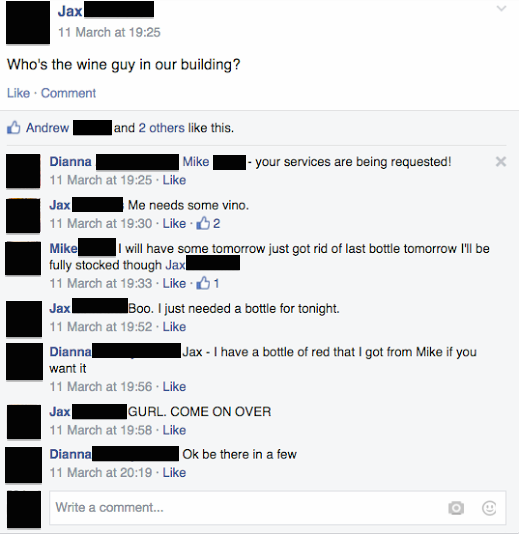 There's even a dude that hooks people up with $10 wine delivered anytime. And when one new resident accidentally locked herself out of apartment, she posted a quick note to the Facebook group and within seconds (seconds, you guys) five different people came to help her. I've lived in my building for 3 years, I don't even know the name of my neighbor that I share a wall with. We just politely smile at each other on those rare occasions we see each other in the stairwell. 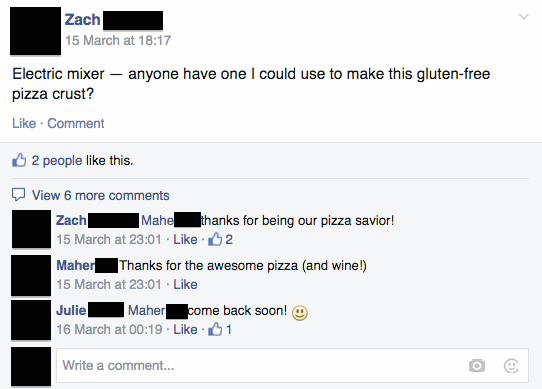 It's insane that CastleBraid has a community where people willingly check a Facebook group to see who needs to borrow an electric mixer to make gluten-free pizza crust and then give said person the pizza (this actually happened). Asides from the Facebook group, CastleBraid's commune-feel dives even deeper. The building's developer has been known to reward residents with free rent in exchange for artistic services. A sculptor received six months of free rent for creating CastleBraid's custom-made gate. Similarly, a building-sponsored film competition resulted in two residents winning six months of free rent. Handfuls of additional residents regularly trade their artistic skills (like creating art for the lobby) in exchange for rent. Boasting a 24-hour gym, screening room, digital media lab, game room, dog run, bocce ball court, and well, 17 other completely not-necessary (but perfect for second date) amenities, CastleBraid reads like a great college campus brochure. Then again, spend just five minutes googling CastleBraid and you'll see it called a whole lot of colorful things. While many seem to see it as "an adult children playground," the reputation of it being a "Douche Castle" (as one friendly Yelper put it) has only been popularized through the countless articles mocking the complex for being well, ridiculous. Bushwick will never have neutral feelings about CastleBraid. The constant resentment for the development will probably not be going away any time soon, but at least its residents are there for each other to make gluten-free pizza together.